The latest Sweet Home 3D 4.4 was released on June 12, 2014 with many improvements and bug fixes. This quick tip will show you how to install it in Ubuntu 14.04 while Software Center has version 4.3. First for detailed changes in Sweet Home 3D 4.4 read the release note. 32-bit or 64-bit? Check it out by going to System Settings -> Details. Check out if there’s a new release at here. In the command, you may replace SweetHome3D-4.4-linux-*.tgz with the exact package name. If everything goes OK. Let’s create a launcher for it so that you can start it from Unity Dash or Launcher. It will create a config file and open it with Gedit text editor. Paste below content into the file and save it. You may grab a logo icon from web. Name it sweethome3d.png and put it under /usr/share/icons/. Once done, you’re able to open Sweet Home 3D 4.4 from Unity Dash result. 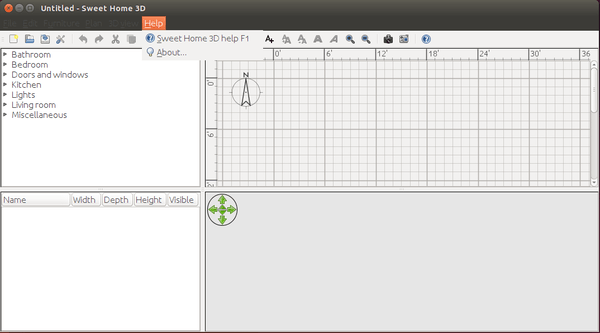 I have the older version of SweetHome3D (4.3) installed on Ubuntu 14.04 through the Ubuntu Software Center. I would like to update to version 4.4. 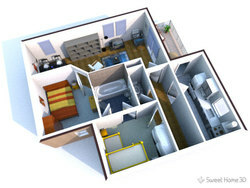 Nowhere in the official SweetHome3D web site they say how to preform a clean update. Instead, they say “download the package, and unzip it wherever you wish”. What I would like to do instead is to REPLACE the old installation with the new one. The problem is that I don’t know where all the bits and pieces of the original installation are installed. … It this approach is possible, I wouldn’t have to start filling the opt directory and creating a launcher (because there must be one somewhere already from the previous installation). Did you remove the previous v4.3 through Ubuntu Software Center or Synaptic Package Manager? Because SweetHome3D is not available in any third-party repository and Ubuntu repositories does not update very often, you can not upgrade the app. The usually way is make a backup, remove the previous installation, finally install the new one. 1) Use a terminal and gksudo nautilus to lauch nautilus with root priviledges. Rename the sweethome3d.jar file that should be in your /usr/share/sweethome3d/ directory just in case something goes wrong (I just erase it because reinstalling takes a few seconds). 3) Then just move the SweetHome3D-4.x.jar file you previously downloaded to the /usr/share/sweethome3d/ directory where the files should be. 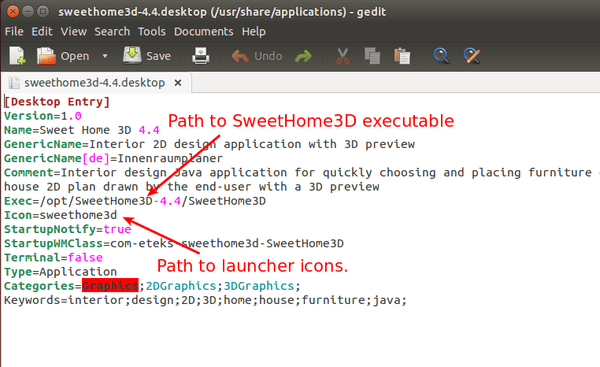 4) Rename the file you just moved to the /usr/share/sweethome3d directory to sweethome3d.jar and you are done. In the terminal commands, you should also replace 4.4 with 4.6. Hello! I installed SweetHome 3D using your steps. Now i have a problem uninstalling it. I’m using Ubuntu 14.04. Please help.